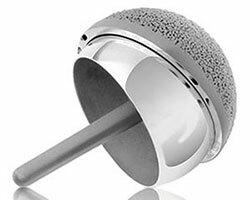 Consumers and health professionals are advised that Smith & Nephew, in consultation with the TGA, has issued a hazard alert for its Birmingham Hip Resurfacing (BHR) system. Smith & Nephew previously released information about the expansion of warnings in the BHR Instructions for Use for certain population sub-groups in February 2015 and June 2015. The TGA published related information for consumers, orthopaedic surgeons and all other health professionals (see below). The new hazard alert contains updated revision rate data. It is still recommended that orthopaedic surgeons maintain their routine follow-up protocol for patients who have been implanted with the BHR. Undertaking additional follow-up, including the need for diagnostic imaging and blood tests, is a decision taken by the surgeon and should be based on each patient's individual circumstances, including whether or not they present with pain and limited mobility in the replacement hip. If a patient is experiencing pain, swelling, enlarged bursae, pseudotumours, tissue masses, fluid collections or local build-up of excessive metal particles or metal hypersensitivity, revision surgery may need to be considered. The recommendations for consumers and all other health professionals regarding this issue provided below remain appropriate (see Information for consumers and Information for all health professionals for further details). Consumers and health professionals are advised that Smith & Nephew, in consultation with the TGA, is recalling certain unused Birmingham Hip Resurfacing (BHR) system components and issuing a related hazard alert update. The TGA published information on 6 February 2015 based on a previous hazard alert issued for this device (see alert below). The BHR system is no longer to be used for female patients. BHR femoral head components sized 46 mm in diameter and smaller, and their corresponding acetabular cup sizes, are being withdrawn from the market and unused stock should be returned to Smith & Nephew. Patients requiring a 48 mm femoral head size should not be considered as candidates for BHR implantation due to a moderately elevated risk of revision. The 48 mm heads should only be used in the specific circumstance of intra-operative downsizing from a pre-operatively templated 50 mm to a measured 48 mm at the time of surgery. The Instructions for Use for the BHR system will be updated to reflect these changes. Information regarding this issue, including details of the recall process and recommendations for management of patients who have had these devices implanted, has been sent to orthopaedic surgeons who have implanted the BHR system. Information for patients and health professionals published in the below safety alert remains relevant. Consumers who have any questions or concerns should contact their health professional. Meanwhile, health professionals should contact Smith & Nephew on 02 9857 3999 or email RegulatoryAffairs.ANZ@smith-nephew.com if they have any further questions or concerns. Consumers and health professionals are advised that Smith & Nephew, in consultation with the TGA, has issued a hazard alert regarding the Birmingham Hip Resurfacing (BHR) system, advising of additional warnings when used in certain patient groups. The BHR system is made up of multiple components and is used in hip resurfacing procedures. patients requiring an implant head size ≤48mm. The additional warnings followed a statistical analysis commissioned by Smith & Nephew of data from various joint registries around the world, including the Australian Orthopaedic Association National Joint Replacement Registry. patients who have congenital dysplasia. The IFU have also been updated to note that the more risk factors a patient has, the greater the risk of requiring a revision. Smith & Nephew has written to health professionals who have implanted BHR components providing them with this information. The BHR system belongs to the class of devices known as metal-on-metal implants. Patients who have undergone a hip resurfacing procedure, and/or their carers, are encouraged to review the TGA statement: Metal-on-metal hip implants: Information for patients. If you are not sure what type of hip replacement you have or if you have concerns about your hip replacement, you should seek information from the surgeon who performed the operation or the hospital where the operation was performed. If you have a hip replacement and have pain in your hip or thigh, you should consult your general practitioner (GP) and/or your orthopaedic surgeon. Your GP/surgeon will usually order X-rays and may in some instances order further tests such as ultrasound, MRI and blood tests. Patients with any hip replacement should be followed up by the implanting orthopaedic surgeon if possible, particularly if the patient complains of pain and other symptoms associated with their hip implant and surgery. Smith & Nephew has written to surgeons notifying them of the changes to the IFU. Surgeons are advised to ensure that the additional warning statement and indications for use are considered when using the BHR system. Surgeons are also advised to review the TGA's guidelines for MoM hip replacement implants and the Arthroplasty Society of Australia guidelines.